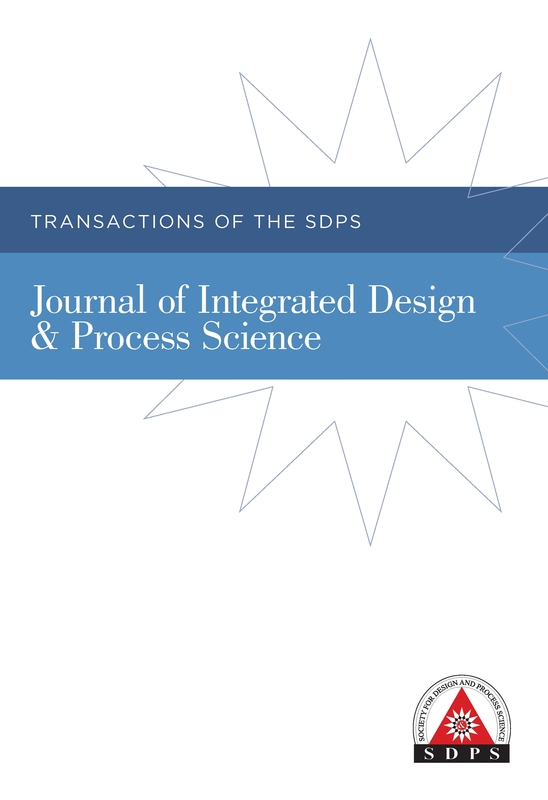 The Journal of Integrated Design and Process Science (JIDPS) is the official journal of the Society for Design and Process Science (SDPS). This journal publishes research findings covering transdisciplinary notions of design and process with a focus on issues that deal with 1) understanding of design and process crossing boundaries of natural, human, and built environments, 2) principles, methods, and tools, and 3) applications of design and process science to engineering and social problems. The journal serves to promote research of transdisciplinary design and process science from different disciplines such as mathematics, computer science, economics, engineering, management science, natural sciences, and social sciences. The journal is an archival peer-reviewed technical journal publishing the following papers: 1) research papers, 2) reports on case studies, 3) reports on major design and process projects, 4) design and process standards and proposals, 5) literature review, and 6) discussion and position papers that discuss the works published in the journal or present retrospections on critical and strategic issues in the transdisciplinary design and process science.